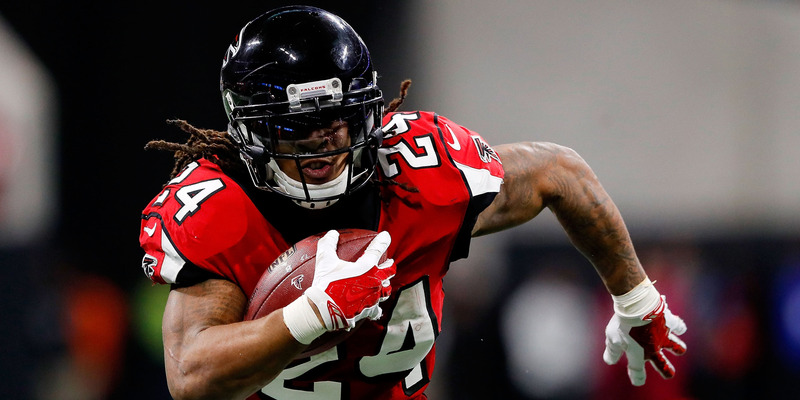 Kevin C. Cox/Getty ImagesIf Devonta Freeman falls to you in the third round of your fantasy draft, he’s probably worth a pickup even if you already have two running backs, ESPN’s Field Yates says. As Yates puts it, drafting is an art rather than a science, and while you should have a plan before your draft, it’s important to remain flexible as the picks play out. For instance, even if you’ve already taken running backs in the first two rounds, if another valuable RB falls to you in the third round, pick him up and worry about the details later. There’s no perfect answer to these questions, and players should always draft however they choose – it’s your team, after all. That said, there is one rule the ESPN fantasy expert Field Yates believes all players should keep in mind heading into draft day.Appearing on “Golic and Wingo,” Yates said that while players might have a strategy at the start of their fantasy draft, it’s important to be flexible depending on how the draft unfolds. It’s unlikely that anyone enters draft day planning to take running backs with his or her first three picks, but if the value is there and presented for you, it’s most likely the smartest play you can make. Even if you don’t plan on starting all three, by drafting for value you add assets to your roster that can be used in trades down the road or that could even come in handy should one of your top guys go down unexpectedly. Yates isn’t saying you have to draft for value, just as he denies that you have to take David Johnson at No. 3. Instead, he just advocates being open to drafting value over positioning even if it doesn’t make perfect sense for your roster at the moment. There’s plenty of time to worry about the details, but the more value you have in your lineup the better positioned you’ll be heading into Week 1. You can listen to Yates’ full appearance here.